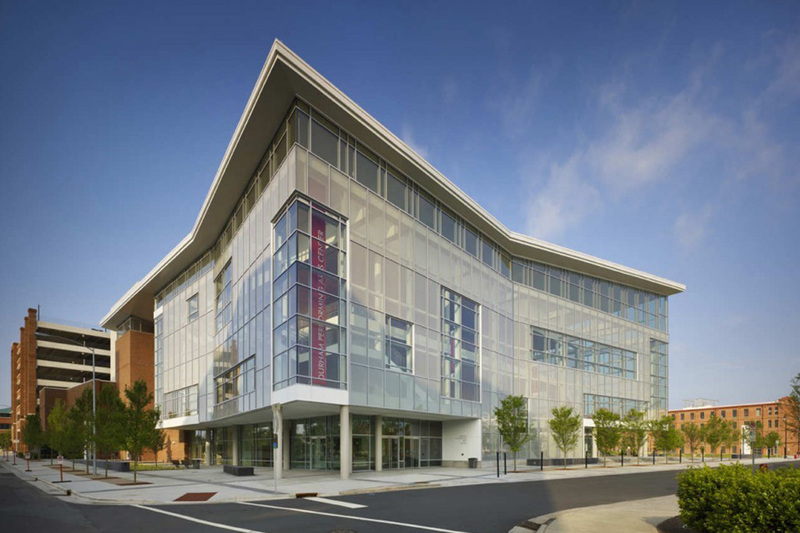 An award-winning 2,800-seat performing arts center constructed in the center of Durham's revitalized American Tobacco campus. As of 2014, the Durham Performing Arts Center has been rated the 5th most successful theater in the US by ticket sales. DPAC hosts 200 performances annually, including traveling Broadway shows and the American Dance Festival. Coordinated with architect, and presented to public and City administration to achieve design proposal that met functional needs and created aesthetic and icon for emerging downtown economy. Managed extensive punchlist and last-minute owner-requested change orders after grand opening. Engaged with third party retro-commissioning after grand opening to correct significant HVAC and controls issues due to subcontractor poor performance. Managed additional smaller improvement projects for DPAC such as a change in handrails to accommodate Lion King (and aesthetic, installation and code challenge), monitoring of structural vibrations, and design of lobby divider and walk of fame projects.